What Else Can I Expect From an Online MPA Program? As millions of baby boomers retire, the next generation of public and nonprofit leaders take the helm of agencies and organizations nationwide. You can fill one of these critical roles with a master's degree in public administration from some of the best programs in the country. The BLS reports that candidates with a master's degree stand to earn roughly 18% more than employees with a bachelor's and 68% more than those with an associate degree. Directors of nonprofit organizations and government agencies earn competitive salaries, with the Bureau of Labor Statistics (BLS) reporting an annual median income of $104,700 in 2017. The BLS also projects about 8% growth in this sector over the next 10 years. Professionals with MPA degrees influence the lives of people and society in meaningful ways. They plan, implement, and evaluate public policies related to healthcare, education, energy, national defense, transportation, and the environment. MPA graduates advance strategic planning efforts that allow organizations to function at their best. Learn more about earning an MPA degree and how you can move into a high-growth career field that applies to your passion, skills, and talent. WILL AN ONLINE MPA PROGRAM PROVIDE ME WITH THE SKILLS I NEED TO ADVANCE MY CAREER? MPA students learn how to manage all aspects of an executive organization. Coursework covers key administrative areas such as finance, budgeting, project management, policy, leadership, and ethics. Beyond mastering these concepts, students may choose to specialize in a disciplinary subfield, such as emergency management, health and human services, information technology, or nonprofit management. This well-rounded education provides candidates with a variety of potential job options to pursue upon graduating. WILL AN ONLINE MPA PROGRAM WORK WITH MY SCHEDULE? Institutions design their online MPA programs with your convenience and flexibility in mind. Students can download course readings and lectures, submit assignments, take exams, and communicate with their professors from the comfort of their computer. Distance learners study away from home using a laptop, tablet, smartphone, or any other device with WiFi accessibility. Students can also schedule virtual consultations with academic advisers about strategies for completing their capstone project or locating internship opportunities close to home. WHAT JOBS CAN I GET WITH MY MPA? Many consider the MPA as a terminal degree in the field of public administration, meaning that master's graduates will likely be the most qualified candidates for most public administration jobs. MPA-holders will be eligible for most entry-level positions, as well as managerial titles and other roles typically reserved for candidates with a graduate degree. Students can further boost their career standing by earning a degree specialization or completing an internship related to their desired field. WHAT ARE THE BEST ONLINE MPA PROGRAMS? Only you can properly evaluate whether a target school's strengths match your educational needs and professional goals. The following ranked list of schools should serve as a helpful starting point in your search for the best online MPA programs in the United States. 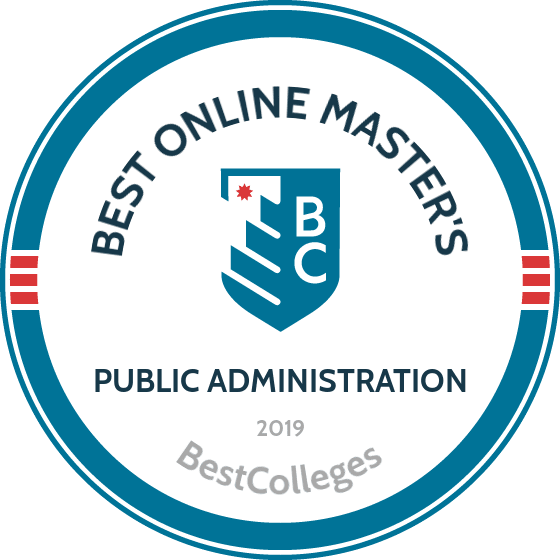 If your goals include obtaining an online master of public administration degree, take a look at these top schools in the field. The University of North Carolina at Chapel Hill offers one of the best online MPA programs in the country. The flexible program proves ideal for busy students with personal or professional responsibilities. The curriculum begins with foundational coursework in areas including public service leadership, organizational theory, and public administration analysis. After completing core classes, students can pursue a specialization in local government, nonprofit management, public health, or international relations. Students can further customize their learning through electives, research and portfolio projects, and an optional on-campus immersion experience. Applicants must hold a bachelor's degree from a regionally accredited institution. UNC-Chapel Hill does not require public service experience, though a professional background in the field can improve the applicant's chances of admission. Applicants must submit GRE, GMAT, or LSAT scores and an application fee. Students with significant work experience can apply for an entrance exam waiver. Approximately 60% of UNC-Chapel Hill students pursuing their master's in public administration online receive financial support through a university fellowship program. These aid programs typically require exceptional academic achievement, and recipients must generally commit to at least three years of public service after graduation. The MPA program holds accreditation from the Network of Schools of Public Policy, Affairs, and Administration. Northwestern University's online master's in public policy and administration equips students with the skills necessary to address global challenges in the field of public service. The program offers various courses of study to prepare students for careers in health service, urban and regional planning, politics, and foreign affairs. The program features fully online, asynchronous coursework; students view lectures and complete assignments on their own schedule and from anywhere. In addition to core classes in public finance, research, and leadership, students can choose from five specializations. For example, an aspiring town manager may specialize in public administration, which covers topics including personnel management in the public sector and local legislative processes. All students complete either a capstone project or research thesis. In the capstone course, students partner with a local government agency or nonprofit organization and apply theoretical knowledge to a practical public administration issue. Students considering pursuing a doctorate or a career in academia often follow the thesis track, which requires them to collect and analyze original research. Applicants must hold a bachelor's degree from a regionally accredited institution. Applicants do not need professional experience or GRE scores, though both can bolster an applicant's chances of admission. Northwestern University holds regional accreditation from the Higher Learning Commission. Students in University of Southern California's online MPA program gain practical experience and research skills. The curriculum prepares students for leadership roles at government agencies, nonprofit organizations, universities, and public policy institutes. Graduates often pursue careers in financial and personnel management and positions in the private sector. After reviewing foundational topics including economics, intersectoral leadership, and program evaluation, students select a concentration in local government, nonprofit management, or public policy. During their final semester, students complete a capstone project with a small group of peers. The capstone involves working on a particular issue for a client agency. For example, students may partner with an elected official to create an online system for communicating with constituents. The group that produces the best capstone project receives a cash prize. Applicants must hold a bachelor's degree from a regionally accredited institution, and USC prefers applicants with a minimum 3.0 GPA. Applicants must submit GRE or GMAT scores, three letters of recommendation, and a statement of purpose. USC also offers graduate certificates in city/county management and public policy. Each certificate requires fewer than half of the credits of the master of public administration. The MPA program at USC holds accreditation from the Network of Schools of Public Policy, Affairs, and Administration. Johns Hopkins University's master of arts in public management is one of the best MPA programs in the country. Though the program does not feature formal concentrations, Johns Hopkins offer a variety of electives to enable students to explore personal and professional interests. Students interested in political communications can take classes in speechwriting, American political theory, and media relations. Learners interested in international affairs can complete coursework in European security, the politics of global terrorism, and diplomatic relations in Latin America. The university also offers classes in research and analysis that prove ideal for students who plan to continue their education at the doctoral level. Public management students complete a capstone project at a government or nonprofit organization. Applicants need a 3.0 undergraduate GPA and must submit a resume, a statement of purpose, two letters of recommendation, a policy-oriented writing sample, and an application fee. While Johns Hopkins does not accept transfer graduate credits, students with previous graduate-level coursework may qualify for advanced standing at the discretion of the program director. Advanced standing students can skip two introductory classes. The MA in public management program holds accreditation from the Network of Schools of Public Policy, Affairs, and Administration. American University offers a flexible online master of public administration and policy program. Students can access virtual classrooms at all hours, which proves ideal for working professionals and students with personal responsibilities. In addition, 100% of program alumni report getting a job or opting to continue their education within six months of graduation. The 36-credit program consists of 12 courses, covering topics including legal issues in public administration, public managerial economics, and quantitative methods. The program culminates with a policy analysis practicum during which students create a statement of work, develop a project plan, conduct research, and present their findings. Applicants must hold a bachelor's in any major from an accredited college or university. Applicants must submit GRE or LSAT scores, but AU may waive the requirement for applicants with substantial work experience. International students must provide results from the test of English as a foreign language. Prospective students with an undergraduate GPA of 3.2 or higher who demonstrate financial need may qualify for an American University online merit scholarship. One of the most comprehensive online MPA programs available, AU's program incorporates coursework from the university's master in public administration and master in public policy programs, both of which hold accreditation from the Network of Schools of Public Policy, Affairs, and Administration. Texas A&M delivers its executive master of public service and administration through asynchronous coursework. The school offers the program entirely online, with the exception of a two-week residency on the College Station campus. Students earning the master's degree in public administration online can schedule the required residency in the summer or fall to reduce conflicts. After completing coursework in economics and research methods, students choose a specialized track in homeland security, nonprofit management, or public management. The homeland security track features classes in emergency management, cybersecurity, and terrorism — preparing students to prevent and respond to cyberthreats. All students complete a capstone project during the final year of the program. In addition to a bachelor's degree, applicants need at least five years of professional experience in a public service role; internships and volunteer experience do not meet this requirement. Applicants must also submit a resume, a statement of purpose, an application fee, and GRE or GMAT scores. Online learners can apply for the Outstanding Online Student Scholarship, which provides up to $1,000 to students with at least a 3.0 GPA, and the Texas Aggie Graduate Grant Opportunity, which provides up to $3,000 per year to Texas residents who demonstrate financial need. The master of public service and administration program holds accreditation from the Network of Schools of Public Policy, Affairs, and Administration. CSULB students can earn a master of public administration online and in an accelerated format. The program caters to working professionals who want to gain skills and knowledge to advance their career. Along with completing asynchronous coursework, students participate in one synchronous session each week. Though open to all students who aspire to leadership roles in the public or nonprofit sectors, CSULB's program focuses on learners seeking employment in municipal government. Students complete 24 credits in government budgeting, organizational theory and behavior, and research methods in public administration. Learners then take 15 elective credits on topics such as negotiating dynamics, public sector employer-employee relations, and urban affairs. Each class lasts six weeks, and part-time students can graduate in as few as 22 months. Applicants need a bachelor's degree, a minimum 3.0 GPA, and at least two years of professional experience in public service. CSULB may waive the GPA requirement for applicants with significant professional or managerial-level experience. Applicants do not need to take any kind of entrance exam. The program boasts a network of nearly 2,000 alumni, and a large percentage of graduates work in Southern California. CSULB holds regional accreditation from the Western Association of Schools and Colleges. The University of Central Florida offers an online MPA program that emphasizes service learning. Students hone professional skills while bettering their community. UCF's offering serves as one of the top online public administration master's programs in the country for students interested in combining classroom and experiential learning. Learners complete core coursework in public budgeting and human resource management, and UCF strongly recommends that all students complete an internship with a government agency or nonprofit organization. UCF may allow online learners to meet this requirement at their current place of employment, or program coordinators can pair distance students with a partner organization in the student's community. Students also complete a capstone course that uses case studies to explore challenges in the public sector. While the program does not feature formal concentrations, students can pursue a dual degree in criminal justice or nonprofit management. Academic advisers help students select elective classes that match their personal interests and professional goals. Applicants need a bachelor's degree from an accredited school and at least a 3.0 undergraduate GPA. Applicants must submit three letters of recommendation, a resume, and a statement outlining their qualifications and career plans within public service. Students with exceptional academic and extracurricular achievements may qualify for graduate fellowships. The MPA program holds accreditation from the Network of Schools of Public Policy, Affairs, and Administration. Florida International University offers a fully online and largely asynchronous master of public administration program. Full-time FIU professors teach most of the program's courses, ensuring online students learn from some of the top scholars and practitioners in the field. The program consists of 42 credits, and most students graduate within two years. Students complete core courses in topics such as policy analysis, human resources management, and quantitative applications. Learners can customize the degree by choosing from five specializations. For example, students can specialize in public finance, procurement, and contract management to prepare for careers as treasurers and comptrollers for government agencies and nonprofit organizations. Students who enter the program with fewer than three years of professional experience in public service may need to complete an internship. The admissions committee decides whether to require internships on a case-by-case basis, and the MPA internship instructor helps match students with a partner organization. Internships must consist of at least 300 hours of service. Applicants need a bachelor's degree from an accredited institution, and those with an undergraduate GPA below 3.25 must submit GRE, GMAT, or LSAT scores. Applicants must also submit three letters of recommendation and a three-page essay outlining their career goals. The MPA program holds accreditation from the Network of Schools of Public Policy, Affairs, and Administration. Rutgers trains future government and nonprofit leaders and scholars through its master of public administration program. Full-time students can earn a top-ranked master's degree in public administration entirely online in two years. The program's core curriculum covers topics such as policy analysis, personnel management, and budgeting. Students choose a specialization in budgeting and financial management, healthcare administration, nonprofit management, or public and nonprofit performance management. All students complete a capstone project during which they apply classroom knowledge to a practical challenge. Applicants must hold a bachelor's degree, and those with a GPA below 3.0 must submit GRE scores. Applicants must also submit an application fee, three letters of recommendation, a resume, and an essay describing their reasons for applying. Rutgers offers several scholarships, including the Louis Eckstein Fellowship, which supports graduate students with outstanding academic achievements. The Annette McIntyre Family Endowed Scholarship provides aid to MPA students who commit to public service careers. Students can also apply for part-time research and teaching support positions. The MPA program holds accreditation from both the Network of Schools of Public Policy, Affairs, and Administration and the International Commission on Accreditation of Public Administration Education and Training. Students earning their master of public administration at Villanova gain the leadership and analytical skills necessary to succeed in the field. The program features fully online, asynchronous coursework and four start dates throughout the year. The MPA program includes 18 credits of required courses, such as public administration theory, human capital management, and applied data analysis. The remaining 18 credits comprise elective classes that match each student's professional aspirations. Learners can take a class in fundraising to prepare for careers in nonprofit management or a course on urban politics to prepare for work in municipal government. MPA students must maintain at least a 3.0 GPA in all courses and must pass a comprehensive exam. The essay-based exam requires learners to integrate and apply the knowledge and skills they developed during their coursework. Applicants must hold a bachelor's degree, but Villanova requires no minimum undergraduate GPA or standardized test scores. Applicants must submit three letters of recommendation and a two-page statement outlining their career goals. Villanova offers a 10% tuition discount to military personnel, veterans, and their families. The MPA program holds accreditation from the Network of Schools of Public Policy, Affairs, and Administration. Students pursuing an online master of public administration at UIS can customize their education by pursuing online certificates in addition to the degree. For example, an MPA student who aspires to lead a nonprofit can earn a graduate certificate in nonprofit management, while a student interested in municipal government may pursue a graduate certificate in community planning. The MPA program begins with foundational coursework in organizational dynamics, public policy for managers, and information-driven decision-making. Students complete a capstone course, which involves identifying a pressing challenge in public service leadership, collecting research, and writing a major paper outlining proposed solutions. Students present capstone findings to classmates or a faculty committee. Applicants need at least a bachelor's degree and either a 2.5 undergraduate GPA or a sufficient GRE score. UIS offers about 170 scholarships, including the Julia J. Henderson Award, which provides funding to students committed to improving the delivery of vital government services. UIS also offers a joint MPA/master of public health program that prepares students for roles as medical administrators and leaders of government health agencies. The MPA program holds accreditation from the Network of Schools of Public Policy, Affairs, and Administration. San Diego State University offers an accelerated path to earning a master's degree in public administration online. Through asynchronous coursework and on-campus experiences at the beginning and end of the program, part-time students currently working in the public sector can graduate in just 16 months. After completing a one-week residency, students enroll in eight-week foundational classes in quantitative approaches, administration and public policy development, and public personnel management. Students may then choose four elective courses based on personal and professional interests, such as urban government administration, employer/employee relations, and comparative public administration. Most students enter the program with at least two years of professional experience at a government agency or nonprofit organization. These students can waive the internship requirement, allowing them to graduate faster. Students without sufficient experience must partner with a local public service organization to develop practical experience in the sector. All applicants need a bachelor's degree from an accredited college or university. SDSU recommends an undergraduate GPA of 3.0, but students may receive provisional admission with a GPA of 2.85 or higher. Applicants without an advanced degree must submit results from the GRE. Admissions officers recommend a score in the 35th percentile or better. The public administration program at SDSU holds accreditation from the Network of Schools of Public Policy, Affairs, and Administration. Indiana University Bloomington combined the curriculum of its on-campus master of public administration and master of public policy programs to create its innovative and fully online master of public affairs degree. Students begin by exploring foundational subjects, like public management economics, law and public affairs, and statistical analysis for effective decision-making. As they progress through the program, students select an advanced curriculum track, specializing in public management, nonprofit management, policy analysis, or public budgeting and financial management. All students must meet the program's experiential requirement by participating in an approved internship, submitting a portfolio of professional experience in public service, or completing an independent or group research project. Applicants need a bachelor's degree, though IU Bloomington's O'Neill School of Public and Environmental Affairs (SPEA) does not require a minimum undergraduate GPA. Students may also optionally submit scores from the GRE to bolster admission chances. All applicants automatically receive consideration for the SPEA Fellowship Program, which provides aid to prospective students who demonstrate exceptional academic potential and significant financial need. Students unsure of whether to pursue a full master's may instead earn a graduate certificate in nonprofit management, public management, or public budgeting. Certificate programs require roughly half of the time and cost of a graduate degree. IU Bloomington holds regional accreditation from the Higher Learning Commission. Rutgers hosts one of the nation's best online MPA programs, providing students across the country with exceptional training in government and nonprofit management. Offered through the Rutgers School of Public Affairs and Administration, the program consists of 42 credits and takes part-time students about two years to complete. Asynchronous coursework enables students to watch lectures, engage with classmates, and complete assignments whenever and wherever is most convenient for them. The school organizes its core curriculum around four foundational areas: the history and current context of public administration, research and analytical skills, human resources and organizational management, and financial management. After finishing the 33 core credits, students earn nine additional credits within one of four concentrations: healthcare administration, nonprofit management, finance and budgeting management, or public and nonprofit performance management. Applicants need a bachelor's degree from an accredited college or university. Applicants with a GPA lower than 3.0 during college must also submit GRE results. Applicants submit three letters of recommendation, a professional resume, and a personal statement. The MPA program holds accreditation from the Network of Schools of Public Policy, Affairs, and Administration. The online public administration master's program at Golden Gate University serves working professionals seeking to advance their career. Through asynchronous classes and course credit for professional experience, students can meet the requirements of the program's accelerated curriculum in just 18 months. The program begins with 24 credits of required courses in public policy analysis and program evaluation, public enterprise management and public sector business relations, and personnel management and labor relations. All students must complete a graduate research project, involving the collection of original data or the analysis and synthesis of multiple existing datasets. To earn the last 12 credits required for the degree, students must choose a concentration. The judicial administration specialization prepares students for leadership roles in court systems, while the law enforcement and security concentration prepares students to serve in public safety roles. The urban innovations concentration allows students to explore subjects like urban growth and economic development, preparing for service as municipal managers or planners. Students unsure of their career path may pursue a general concentration. Applicants need a bachelor's degree, though GGU does not set a minimum GPA or require GRE scores. Applicants may optionally submit a personal statement to detail additional qualifications. GGU holds regional accreditation from the Western Association of Schools and Colleges. Students pursuing the master's in public administration online at California State University, Northridge benefit from a versatile program. Learners can study online, on the school's campus in Southern California, or through a hybrid blend of the two. Students can also select one of three concentrations: healthcare administration, nonprofit sector management, or public sector management and leadership. Students specializing in healthcare administration take courses in healthcare ethics and professionalism, the management of change in healthcare organizations, and health delivery systems in the United States. This curriculum prepares students to take on leadership positions at hospitals and state or federal health and human services agencies. All students, no matter which track they choose, must complete a culminating research project. In this course, students revise a research paper they wrote for an earlier class, adjusting and enhancing their argument with the full scope of knowledge they developed in their graduate studies. Students submit this manuscript as a conference paper or journal article. Admission requires a bachelor's degree, at least a 3.0 college GPA, and two years of professional experience in the public sector. While CSUN does not require GRE scores, applicants who score higher than three on the exam's analytical writing section may waive the upper-division writing exam requirement. Prospective students with a GPA lower than 3.0 may submit three letters of recommendation to apply for provisional admission. CSUN holds regional accreditation from the Western Association of Schools and Colleges. Through one of the best MPA programs in the United States, the University of San Francisco prepares students to lead in the public arena. USF offers all MPA courses online in an asynchronous format, enabling students to learn on their own schedule and at their own pace. Part-time students typically graduate in two years. The 39-credit program features coursework in organizational behavior, public finance and economics, strategic planning, and information technology and digital trends in the public sector. After completing core classes, students can choose a course of elective study or enroll in the health services administration concentration, preparing for careers leading healthcare organizations or government agencies. Applicants need a bachelor's degree. The school does not require GRE scores, but it encourages students with lower undergraduate GPAs to take the exam to bolster their application. Applicants must submit a resume, two letters of recommendation, and a personal statement. Transfer students may apply up to six credits from another institution toward their MPA, provided they maintained at least a 2.0 GPA in those courses. USF offers several scholarships to MPA students. Students working in local, state, or federal civil service, for example, may apply for the Civil Servant Merit Scholarship. In addition, the Dean's Merit Scholarship supports students based on academic achievement. USF holds regional accreditation from the Western Association of Schools and Colleges. Brandman University provides an affordable and flexible path to earning a master's in public administration. Students can complete all coursework online, preparing for careers in government service and nonprofit administration. The program also offers a hybrid format, so students can choose whether to learn at a distance or alongside their classmates on the university's campus in Irvine, California. Brandman's MPA core curriculum consists of 27 credits, covering topics like public finance, labor relations and collective bargaining, data analysis for decision-making, and local government. Students must also complete an action learning project in which they work to solve a practical challenge at a partner public service organization. After meeting core requirements, students may choose elective classes or pursue a formal emphasis in organizational leadership. To pursue the online MPA at Brandman, applicants need a bachelor's degree. A 3.0 undergraduate GPA meets the academic requirements for the program; students with a GPA between 2.5-2.9 should submit scores from the GRE, GMAT, or LSAT. Brandman also allows students to submit a portfolio demonstrating their readiness to study at the graduate level. These portfolios typically include examples of professional work, academic writing samples, and letters of recommendation from former professors. Brandman holds regional accreditation from the Western Association of Schools and Colleges. Appalachian State University's master of public administration program caters to students looking to combine the support of a traditional classroom environment with the convenience of online education. While most classes meet face-to-face during the evenings, Appalachian does integrate online elements to enhance the learning experience and support students who find it difficult to travel to campus. In addition to required classes in public policy analysis, public personnel administration, and budgeting and fiscal administration, students must complete two capstone courses. The first course, focused on developing students' analytical skills, requires learners to identify a research question, collect original data, and present their findings. The second, more practice-oriented seminar involves discussion of ethical dilemmas faced by public service professionals, leadership skills refinement, and activities to help graduates secure employment, such as networking and resume building. All prospective MPA students at Appalachian need a bachelor's degree from an accredited college or university. Admissions officers give preference to candidates with at least a 3.0 undergraduate GPA who score higher than the 25th percentile on the GRE or GMAT. To help finance their degree, students may apply for a graduate assistantship or fellowship. Appalachian awards these positions based on academic achievement, professional qualifications, and financial need. The MPA program holds accreditation from the Network of Schools of Public Policy, Affairs, and Administration. Clemson University's online master's in public policy and administration attracts students with diverse professional backgrounds in local and state government agencies, nonprofit organizations, and academia. This mix of experience and perspectives strengthens the learning experience, as students synchronously log in to a virtual classroom to learn from and alongside their classmates. Classes typically run once per week during the evenings, and most part-time students take roughly two years to earn the degree. After completing foundational coursework in the public policy process, American government, and research methods in public administration, students can specialize in emergency management, government administration, homeland defense and security, nonprofit administration, or regional sustainability. Students may also design their own course of study, using electives on topics like education, youth development, and city and regional planning to prepare for specific careers. Admission requires a bachelor's degree and recent GRE scores above 140 on the verbal and quantitative sections. Applicants may apply for a GRE waiver if they possess more than 10 years of professional experience in public service or five years of experience and at least a 3.0 undergraduate GPA. Applicants must submit two letters of recommendation and a personal statement. Transfer students may apply up to 12 graduate-level credits from a regionally accredited institution to the degree. Clemson holds regional accreditation from the Southern Association of Colleges and Schools. Through its online master of science in administration with a specialization in public administration, the University of West Florida prepares students for leadership roles in public and nonprofit management. Along with core classes in public service ethics, public budgeting, and public personnel management, students complete one of two specialized certificates: acquisition and contract administration or leadership in public service and nonprofit administration. The acquisition and contract administration certificate offers training outlined by the United States Congress and the federal Office of Management and Budget, preparing students for roles in government and civilian contracting. Students complete coursework in government contract law, acquisition administration, and government cost and pricing analysis. The leadership certificate develops broader expertise, making it ideal for students who want to build skills that are useful across a variety of industries. Earning this certificate requires completing classes in leadership, the nonprofit profession, and strategic management for public organizations. All students must complete a capstone course in which they design an action research project to address a challenge in the public sector. Applicants need a bachelor's degree with a minimum 3.25 GPA. In addition, applicants must submit three references and results from the GRE or GMAT; UWF does not set a minimum score for these exams. UWF holds regional accreditation from the Southern Association of Colleges and Schools. Students at California State University, San Bernardino can earn a master's degree in public administration on campus or almost entirely online. The program offers advanced training in financial management and leadership, small class sizes, and a variety of career resources. The program's leadership concentration explores theories and best practices in human resource management, administrative law, and distributed and collaborative leadership. The public financial management concentration focuses on topics like economic development, public sector labor relations, and public procurement principles. All students must pass a comprehensive examination. This exam, which students must take on the CSUSB campus, requires demonstration of critical thinking skills and mastery of core and specialization coursework. Students must also complete career development activities, such as a personalized career counseling session, mock interview, and professional resume critique. Applicants need a bachelor's degree from an accredited college or university with a minimum 3.0 GPA. Students with GPAs between 2.75 and 2.99 may apply for provisional acceptance, though they must also submit GRE scores. Applicants must also submit a resume and two letters of recommendation. The MPA program holds accreditation from the Network of Schools of Public Affairs, Policy and Administration. Nova Southeastern University offers a customizable master's in public administration for working professionals. With the exception of a one-weekend residency on the university's Fort Lauderdale campus, students can meet all the degree requirements entirely online through asynchronous coursework. Offered through the university's H. Wayne Huizenga College of Business & Entrepreneurship, the MPA program begins with required courses in subjects like public sector statistical analysis, managing information and technology in the public sector, and administrative law and ethics. The program also features concentrations in criminal justice, disaster and emergency management, nonprofit and nongovernmental organizations, and local and state administration. After finishing coursework, students must complete a program capstone. The capstone requires a research project or a public service internship or practicum. Alternatively, students can enroll in a one-week integrative seminar, which requires an additional visit to NSU's Florida campus. Prospective students need a bachelor's degree from a regionally accredited institution with a minimum 3.0 GPA. Applicants with a lower GPA must submit GRE or GMAT scores to apply for provisional admission. Admission officers at NSU recommend scores of at least 306 on the GRE and 450 on the GMAT. Applicants also submit a resume, two letters of recommendation, and a brief essay. This program holds accreditation from the Network of Schools of Public Affairs, Policy, and Administration. Based in Coral Gables, Florida, the University of Miami offers a fully online master of public administration which learners can complete in two years. The 36-credit program requires learners to progress through 12 classes, one at a time, in a predetermined order. Each course lasts seven weeks. Topics include organizational dynamics, human resource management in public service, and productivity improvement in the public and nonprofit sectors. The program does not require set login times and uses Blackboard to deliver its asynchronous coursework. The program offers start dates in the fall, spring, and summer. For students who reside nearby, UM offers several on-campus networking events during which students can meet faculty, classmates, and employers. Professors hold weekly live office hours and students can also access class discussion boards, online career services, and around-the-clock tech support. Entrepreneurial students can also use the university's Launchpad service to start a business. Applicants must complete an online application and submit official transcripts, GRE scores, two professional recommendations, a resume, and a personal statement detailing their career background and goals. Applicants may receive a test score waiver if they have completed at least 18 credits of graduate-level coursework or can demonstrate significant work experience in nonprofit, public, or government-related private sector fields. UM is accredited by the Southern Association of Schools and Colleges. Greg Menken is an award-winning communications and public affairs strategist with 20 years of experience working in nonprofits, government, and politics. He started MenkenLLC to focus on missions he truly cares about and to give clients the personalized attention they deserve. Greg served on the senior leadership team of 5W PR where he directed many of the firm's public affairs and crisis communications campaigns. Why did you choose to pursue a master's in public administration? Why did you specialize your degree in nonprofit management? Today, I run MenkenLLC, my own firm specializing in public relations and public affairs for nonprofits -- and it all started 20 years ago, when I decided to leave banking to pursue my long-time interest in politics. I was about to apply for a master's degree in politics when a friend of mine in the New York State Legislature suggested an MPA. I took a look and decided that the MPA was the right path to take -- it has given me more options and flexibility along my career. I also had a strong interest in nonprofits, so I chose the non-profit management track to position myself for opportunities there as well. Along the way, my degree has helped me succeed in politics, government, and the nonprofit sector. How do the skills you gained in your MPA program apply directly to the work you do? My MPA helps me understand what's most important to my clients, their pain points, and how to find solutions. Generally, an MPA provides a good financial and operation background for running a nonprofit, as well as an understanding of policy making, which affects many nonprofits. Working with Emotional Intelligence by Daniel Goleman is a book that stuck with me. My MPA introduced me to the concept of emotional intelligence and it's something I apply on the job every day. Did you complete a capstone as part of your MPA program? If so, how did that inform your subsequent career choices? My capstone focused on homelessness in the New York City shelter system. For anyone considering an MPA, it's important that you really understand what your school's capstone program looks like and how it can be best integrated into your career. This is something I wish I had understood better going in. Find out what choices you'll have and the types of agencies you'll have the chance to work with -- getting something that interests you and the type of career you see yourself in are key. What was the job search like after graduating from your MPA program? Did you feel adequately prepared to enter the workforce upon graduating? My experience was a bit different in that I didn't have to look for a job after graduation. I was hired at the New York City Council while still in school full time. Like most jobs, it was through a connection, not a job posting. "Who you know" will always be the quickest path to getting a job. As much [as] you spend time studying and writing papers, spend time getting to know everyone around you -- professors, fellow students, the career center, etc. To get the greatest value from your degree, get the education and the network. What were some of the greatest challenges you faced when completing your MPA program? I was working full time while in school full time -- that was a real challenge. I can still remember getting paged (yes, some people were still using pagers back then) in the middle of class and having to excuse myself to get downtown for a meeting. Getting the buy-in and a little bit of flexibility from my professors was a bit of a challenge, but that was the whole point -- to work in public service -- so they understood. The graduate experience was much different for me than undergraduate, where we all lived, worked, and played together. In grad school, many of us were working and living independently, so it wasn't as easy or natural to develop relationships with fellow students, which can be an important part of grad school. It took a little extra effort. What advice would you give to undergraduate students considering earning an MPA? Is a master's degree worth it? Understand the marketplace and how a master's will add value to you as a job candidate. If you're on a given career track, it's easier to examine the value. For me, I was interested in politics but wanted to keep my options open to explore other avenues. I found that the MPA in nonprofit management was the best way to do it. It's possible that my career would have been the same without my MPA, since the vast majority of my work has come through the people I know. But I'm certain, and people have said along the way, that having the MPA has always made me a stronger candidate and professional. Also, consider that these days more nonprofits are looking to emulate the private sector. An MBA will set you apart in the nonprofit world and give you the flexibility to move back and forth between for-profit and nonprofit. Though if you go the MPA route, be prepared to spend a lot more! Depending on your program and the concentrations available, you may take many different courses as part of your master's degree in public administration. While many programs feature similar core courses, you will find the electives and concentration-focused courses vary widely from one MPA degree to the next. The list below features five of the most common concentrations. Public management students learn how successful organizations function from a leadership perspective. The concentration focuses on strategic planning, day-to-day management, technology, and other skills and resources nonprofit, public, and private sector leaders need to move their organizations forward. Careers This Concentration Prepares For: Students go on to become managers or directors within public agencies and nonprofit organizations. Others serve as consultants, helping their clients develop sound management processes. Students learn about bureaucratic structures within public agencies in the United States and around the world. This typically involves courses in human resource management, strategic management, information systems, intergovernmental systems and management, and budgeting and planning. Careers This Concentration Prepares For: Typical career paths include serving with international nonprofit organizations and government agencies on a global scale. Health administration students explore the policies that affect access to and delivery of healthcare across the country. They learn about health insurance regulations, people's reliance on employers for insurance, and how political decisions at various levels of government influence healthcare. Careers This Concentration Prepares For: Graduates may work for state and federal legislators, state departments of health, nonprofit advocacy groups, and healthcare organizations. Students who choose this concentration examine how to best manage the earth's limited resources through watershed management, energy efficiency, forest conservation, and the handling of hazardous materials. They take classes in environmental policy, the natural or physical sciences, and environmental risk analysis. Careers This Concentration Prepares For: Graduates may serve with state or federal environmental protection agencies, nonprofit advocacy organizations, and businesses that provide environmental consulting services. This concentration explores vital concepts such as workforce management, employee relations, and compensation and benefits, primarily related to nonprofit and public sector organizations. Students may take courses in leadership, organizational behavior, economics, and financial management. Careers This Concentration Prepares For: Students leave prepared for careers as human resource professionals or leaders in public agencies and nonprofit organizations. Public Policy Analysis: Students learn how data and political considerations influence policy decisions at the local, state, and federal levels. The introductory course also focuses on ethics and the social impact of various public policy approaches. Students explore how to analyze, implement, and evaluate policy, often through a social equity lens. This establishes a foundation for more advanced coursework within the MPA degree. Budgeting and Planning: This course focuses on effective financial management for public sector and nonprofit entities, particularly those facing tight budgets and uncertain funding situations. Students explore tax systems, auditing processes, budgeting methods, and the use of technology to maximize an organization's financial resources. The course prepares future finance directors, budget analysts, and chief financial officers. Organizational Leadership: Designed for those who aim to become executive directors or managers, this course covers both theoretical and practical applications of various leadership concepts. Students learn about systems thinking, strategic planning, change management, and human resources. They also observe examples of effective leadership across many different types of organizations. Strategic Planning: Students examine critical concepts on how organizations grow and thrive. They look at the coordination, implementation, and evaluation of strategic planning, along with the challenges professionals face when engaged in these efforts. The course prepares individuals for leadership roles within both nonprofit and public sector organizations. Fundamentals of Nonprofit Management: This course covers the work of nonprofit organizations across numerous sectors and how they work with communities to enact positive change. Students explore the legal, ethical, and financial factors that affect the nonprofit world, as well as the role proper management and governance plays in the success of these organizations. It prepares those who wish to enter the nonprofit management field. While students can complete most MPA degrees in two years, many factors may affect the length of your program, including the availability of classes and whether you attend full or part time. If your program involves individually paced learning, you may move through more quickly on your own schedule. Conversely, cohort learning requires you to take classes with the same group of fellow students each term, which often slows your progress through earning an MPA degree. Internship and practicum requirements also affect program length. If you experience trouble finding an internship, for example, you may need an additional term to finish out your program. However, your adviser may allow you to count professional experience toward this requirement, leaving you with one less hurdle on your way to graduation. Most master's degrees in public administration involve 36-48 credit hours. As you browse various MPA degrees, only consider regionally or nationally accredited colleges and universities. While regional accreditation is the most prestigious, you may find that nationally accredited institutions offer quality online classes and lower tuition. Most U.S. colleges and universities receive regional accreditation, while national accreditation usually applies to for-profit, religious, and vocational schools. Some of the best MPA programs receive accreditation through the Network of Schools of Public Policy, Affairs, and Administration, which maintains stringent standards for quality in the education, training, and opportunities offered to students. The Council for Higher Education Accreditation (CHEA) and U.S. Department of Education (ED) both oversee all accrediting agencies. CHEA recognizes a total of 60 bodies and ensures these agencies uphold the highest standards. A 20-member board guides the organization in this mission. The ED provides clear criteria for accrediting agencies as they evaluate colleges and universities. The federal agency conducts compliance checks with these bodies on a regular basis. You will find a full list of all accredited schools through CHEA's online directory. Equipped with your advanced degree, you may enter a career with considerable potential for salary growth. While those entering the field may not receive lucrative salaries at first, these jobs tend to pay more as you gain more experience and continue to expand your knowledge, education, and connections. Salaries also vary depending on location, your leadership abilities, and experience. The table below features data from PayScale on some of the most common career paths, along with what you can expect to make at various stages in your career. When you earn an MPA degree, you can explore a variety of career paths in the public and nonprofit sectors. These positions require strong leaders with good communication skills and the ability to analyze data to improve the efficiency of programs and organizations. A commitment to the public good and maximizing the impact of government and nonprofit programs makes you an ideal candidate in virtually all of the careers below. Urban or Regional Planner: Responsible for creating land use plans that affect community development throughout a city or region, urban planners analyze data, conduct research, review site plans, and make recommendations on the approval or denial of land development requests. They must understand complex building codes, ordinances, and environmental regulations, and often play a key role in city and neighborhood revitalization efforts. Most urban planners work for a municipal or state government agency. Social and Community Service Managers: These professionals supervise those who provide services to the community, while also planning programs that deliver the greatest possible impact. They analyze data to monitor programs' effectiveness and make changes as needed. They may also seek funding through grants and plan outreach strategies to increase the public's awareness of the services their organizations provide. Management Analysts: Also known as management consultants, these professionals find various ways a business or organization can maximize its efficiency. They use research, data, and best practices to address organizational challenges and make recommendations to directors and board members through comprehensive reports. Management analysts may work for an organization or run their own consulting firm. Making professional connections and learning more about the field is crucial to your success. Professional organizations offer a great entry point for students who want to learn more about their chosen career path. Below you'll find three of the country's most prominent public administration organizations. These organizations host networking events, provide online training, maintain active job boards, and offer other services for career-ready college graduates. Resources like these often prove invaluable as you complete your degree requirements and prepare to enter the job market. American Planning Association: With the motto "Making Great Communities Happen," the APA is a global organization representing more than 38,000 members in over 100 countries and 47 U.S. chapters. Members can choose to earn the American Institute of Certified Planners credential. Other member perks include access to a vast online resource library and links to job openings. National Emergency Management Association: Founded in 1972, NEMA oversees emergency plan development and implementation across the United States. The association currently represents emergency directors from all 50 states, eight territories, and the District of Columbia. Society for Human Resource Management: Considered the world's largest HR-oriented professional organization, the SHRM boasts 285,000 members in 165 different countries. Their website features a vast online resource library, along with links to continuing education opportunities and an events calendar. Despite the relative affordability of online MPA programs, most students still need financial assistance. Students should complete a Free Application for Federal Student Aid (FAFSA) form to learn more about loans, grants, and other opportunities offered by the U.S. government. Nonprofit organizations and independent companies provide private grants and scholarships, as well. Explore our collection of resources below to learn more about your financial aid options. Approximately two-thirds of today's college students rely on loans to fund their education. Check out our guide to discover ways for students reduce their costs through a variety of available financing options that often remain overlooked. Completing the FAFSA is a crucial first step for any student with financial needs. Our guide features a step-by-step rundown on the process of filling out the FAFSA, along with answers to several frequently asked questions. Online programs can provide an affordable and flexible option for women balancing the demands of work, family, and school. Explore our curated list of valuable scholarships made specifically for women. Online college programs can be a flexible, affordable option for single parents interested in earning a degree and securing their family's financial future. We have compiled a list of scholarships, grants, and other financial aid options geared toward single moms and dads. Students who pursue online degrees will be eligible for scholarships, grants, and other financial aid unavailable to their brick-and-mortar counterparts. You can learn more about these financial opportunities here.